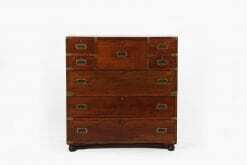 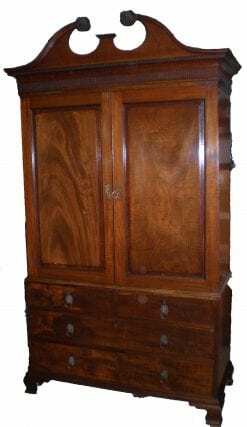 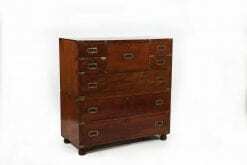 19th Century large oak military chest. 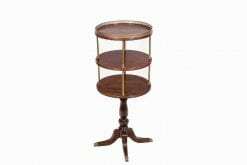 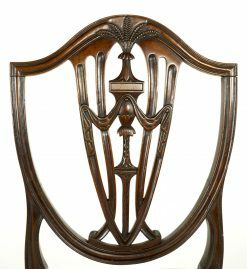 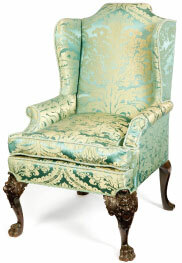 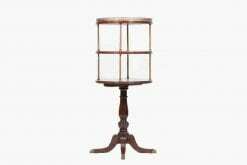 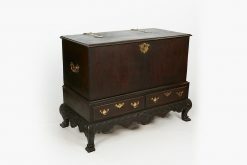 The top lifting to reveal four shelves and centred by a mirror over two top short drawers and four long drawers with brass pulls. 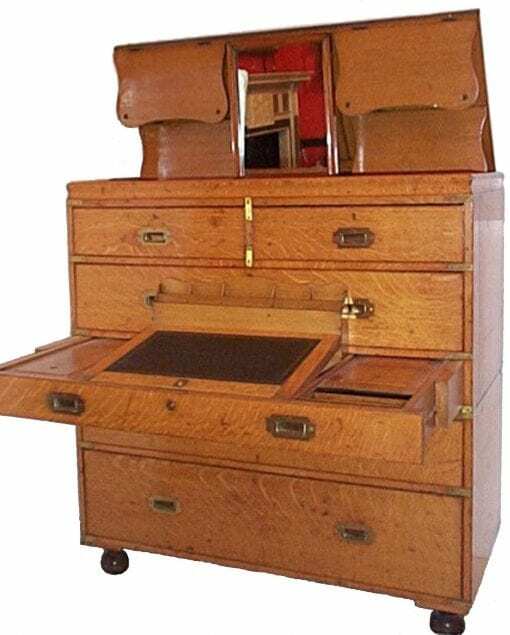 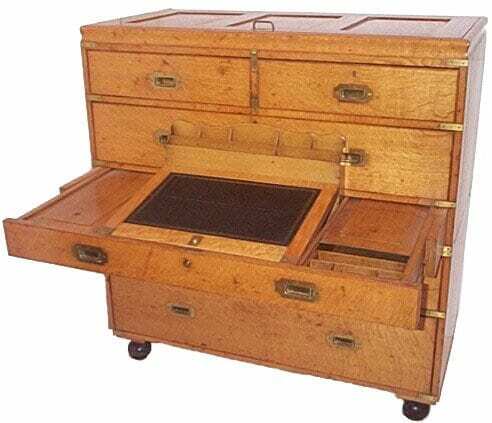 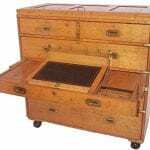 The centre drawer opening to reveal a writing scribe and writing box terminating on bun feet. 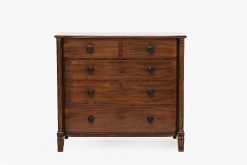 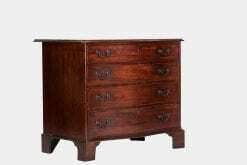 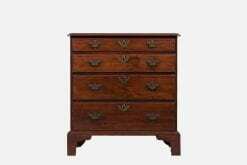 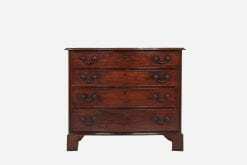 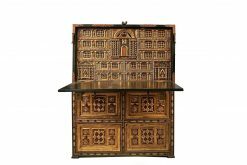 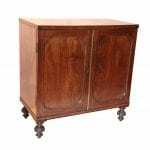 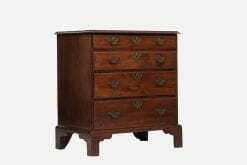 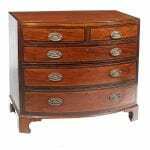 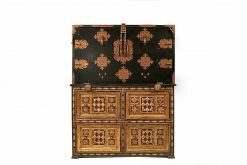 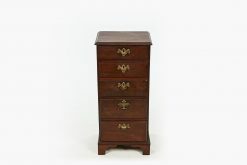 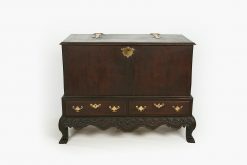 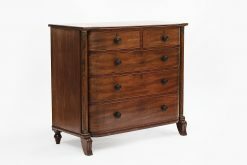 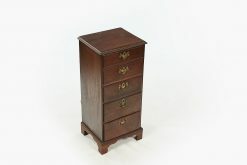 To enquiry about "8485 – 19th Century Oak Military Chest with Writing Interior", please complete the below form.